Sweet80 is a new womens sports and leisure wear brand dedicated to the memory of Clare 'Sweetabix' Lawrence. Clare was a person who lived her life to the full and when she tragically lost her battle with brain cancer in the summer of 2015, a group of her closest friends decided to create a fitting and lasting tribute to the amazing person they were proud to call their friend. 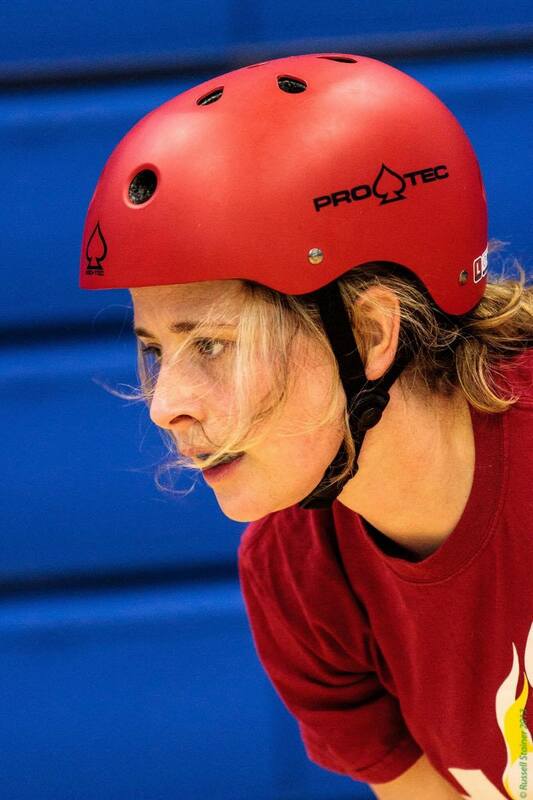 One of Clare's biggest passions was Roller Derby and she was a dedicated member of the Roller Derby Leicester squad. A womens fashion and leisure wear brand influenced by the style and attitude of Roller Derby seemed only fitting and the name soon followed. By combining Clare's Roller Derby name and number, Sweet80 was born. Taking inspiration from Clare's larger than life attitude the Sweet80 range includes hoodies, tees, vests, shorts and accessories. Bold and bright designs are combined with performance wear to produce a stand out range perfect for use at the track, in the gym or on the street. Sweet80 want to embrace all aspects of womens sport and show that putting your body on the line for yourself, your team and for the win isn't just part of mens sport. By making our range available in a wide range of sizes to suit any body shape, whichever sport you love Sweet80 aim to have a product for you. As well as being a lasting tribute to Clare, it was always the intention of Sweet80 to do our bit in the fight against brain cancer and the associated personal tragedies. That's why all profits from the the sale of Sweet80's range of sports and leisure wear will be donated to a charitable foundation being created in Clare's name. The Clare Lawrence Foundation will aim to raise money not only to aid in the research against brain cancers, but to also support those both directly and indirectly affected by this awful disease. We also donate a percentage of profit from sales of all our other great brands so whatever you buy from Sweet80.com, you know you're doing your bit. Along with Sweet80 our other amazing brands including Banned Vintage and Alt Apparel, New Era caps, Osiris footwear, American Socks retro socks and BawBags underwear. You can check out our other brands here and remember we donate a percentage of profit from all sales to the Clare Lawrence Foundation.